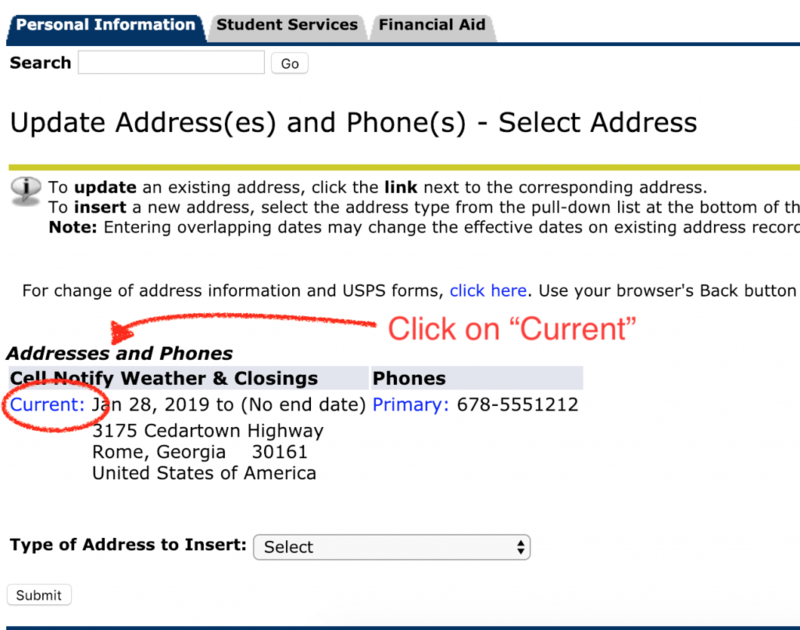 To update your contact information for receiving emergency communications from GHC in terms of announcements, alerts, weather closings, or other emergency communications from the college, please update your contact information via the steps below. 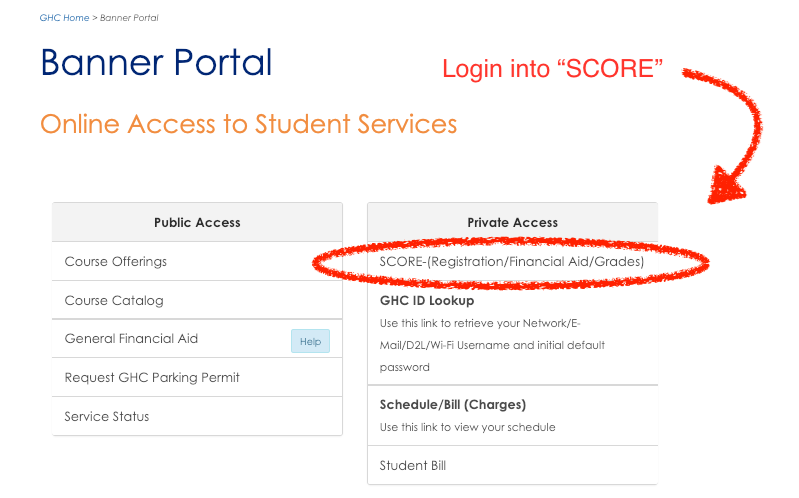 **** Get to the SCORE login page below, either by navigating to Current Students and clicking on SCORE or by using myGHC.highlands.edu to access SCORE. Login to SCORE. 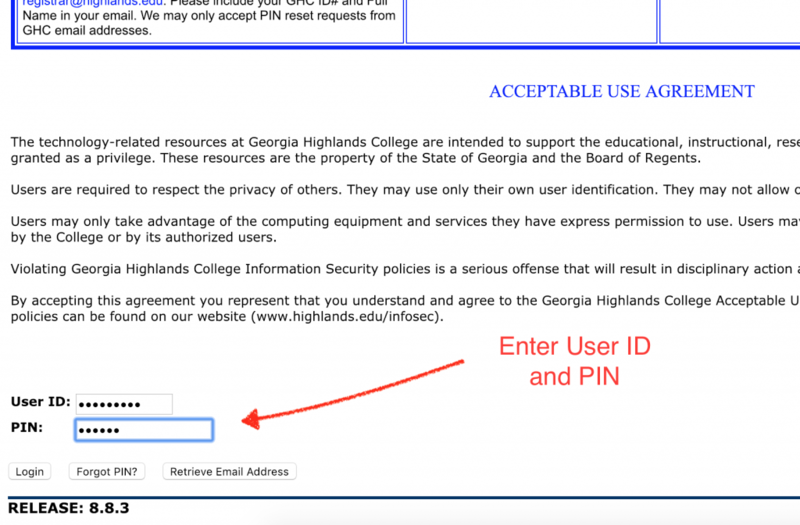 **** Enter your User ID and PIN on the resulting screen. If you do not know these, you can use the “Forgot Pin” at the bottom of this screenshot. 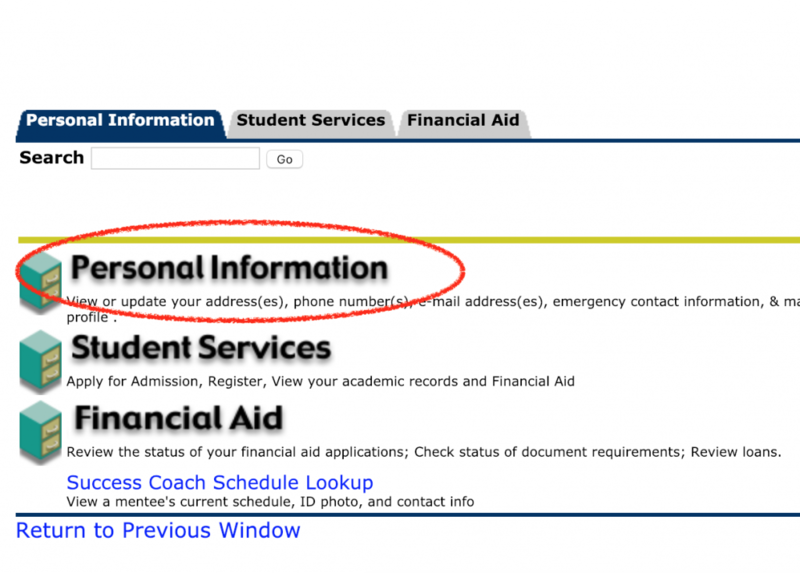 **** Choose the “Personal Information” link below. **** Choose the “Update Address(es) and Phone(s) link below. **** The resulting screen may have a variety of different labels under Addresses and Phones. Regardless how this may be labeled (such as Cell Notify Weather & Closing). 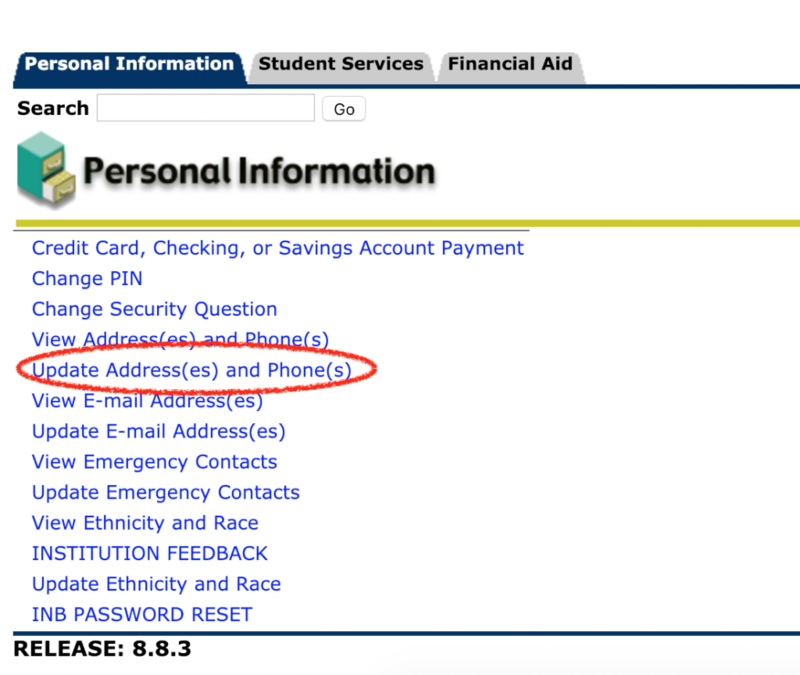 Click the “Current” link offered for your particular record. 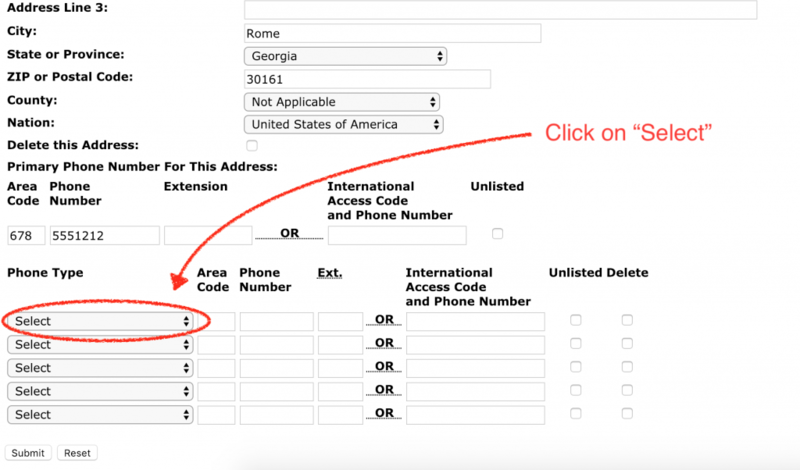 If you have multiple addresses on file, please choose the most current record to make changes. If there is a “Cell Notify Weather & Closings”, select “Current” for this record as your choice for emergency communications. 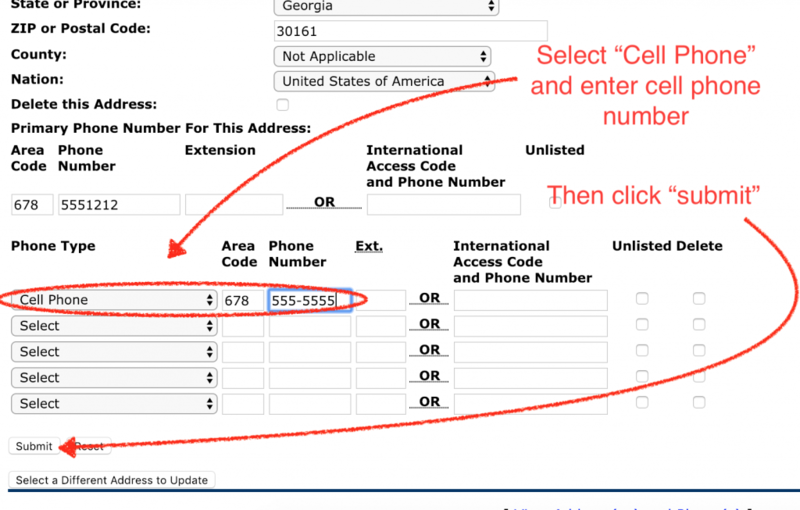 **** Drop down to the bottom of this screen and choose the “Select” drop down box to change this record to “Cell Phone” and enter your corresponding cell phone number that you wish to receive these types of alerts. 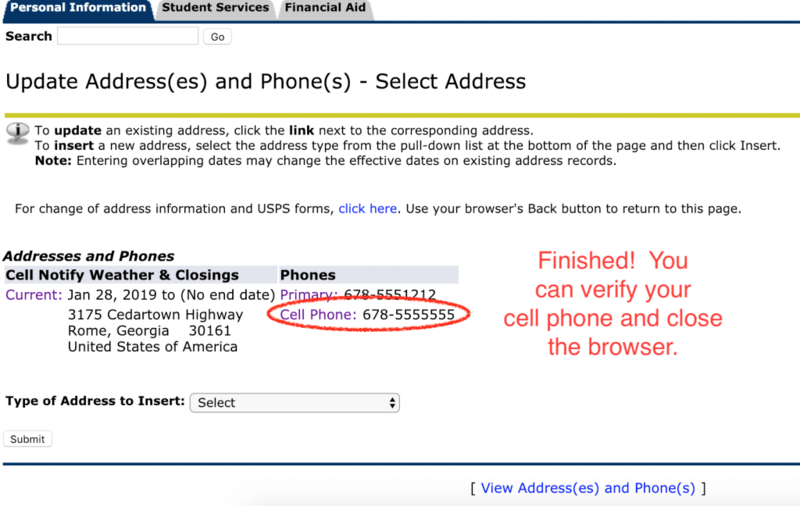 **** Once you’ve entered “Cell Phone” and your desired Cell, Click “Submit” to save this record. **** These changes will take 24 hours to sync with the GHC Notify – Emergency Notifications System.